Over the last six years, a broad consensus in Westminster has coalesced around the need for deficit reduction. This consensus has proved to be extremely controversial – even more so because the means by which deficit reduction is to be achieved is through severe cuts to state spending and welfare provision. One component of the UK welfare bill, Housing Support, has escalated in recent decades and will therefore be subject to serious scrutiny in this parliament. It is thus critical that we examine the drivers of this category of welfare expenditure and the means by which it could be controlled in a way that protects rather than harms the poorest and most vulnerable in society. The housing budget of the welfare bill has grown rapidly in recent years – from £11 billion in 2000/01 to £24 billion in 2014. Escalating housing benefit is a particularly pronounced problem in London, where average rental prices now stand at £26,592 per annum. In 2011, the 3.3 million claimants living in the social rented sector made up approximately 68 per cent of all Housing Benefit claimants, yet the growth in this category of expenditure has come from the private rented sector, where over half of Housing Support payment are now being allocated (as the Department of Work and Pensions figures demonstrate). This is, of course, reflective of the escalation in average monthly rental costs, which between 2010 and 2014 rose from £689 to £768 – an increase of 11.5 per cent over four years. Although the housing benefit attributable to the social sector has risen, the growth in the number of social renters claiming housing benefit has been only 0.3 million (9 per cent) since 2002. Although it is no longer paid directly to landlords, the escalating cost of housing benefit is strongly related to the rising costs of rent demanded by private landlords aware of the state’s commitment to footing the bill for their tenants. 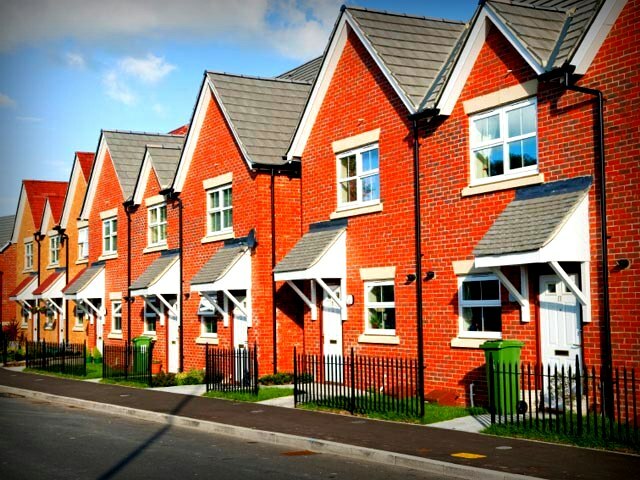 As a parliamentary report produced by the MPs on the Welsh Affairs Committee acknowledged, ‘one of the main reasons for recent increases in the housing benefit bill and projected further increases is inflation in private housing sector rents. Efforts to control housing benefit increases therefore have to include strategies to manage spiralling rents in the private rented sector, including direct rent controls.’ The Communities and Local Government Select Committee’s investigation into the private rented sector in July 2013 went still further, claiming that there exists a ‘vicious circle whereby rents and housing benefit drive each other up’ which demands ‘a full review of local housing allowance’ to bring this to an end. It is an irony, given policy-makers’ broad discursive commitment to free market principles, that the state’s obligation to subsidise housing for the poorest is a clear incentive for private landlords to push up the costs of rent and thus push up the cost of Housing Support. It is policy-makers’ acquiescence in this ‘vicious circle’ that is facilitating the escalating costs of Housing Benefit. The former Housing Minister, Mark Prisk, recently put in place a range of measures to create ‘a bigger and better private-rented sector,’ including the £1 billion Build-to-Rent fund and £10 billion in loan guarantees to build new homes specifically for private rental. The stated hope is that facilitating greater competition in this way may, in the long term, help temper rising rent increases and the growth of the housing benefit bill. These cuts by the previous Coalition Government were undoubtedly regressive in their overall impact. Yet curbing the Housing Benefit bill does not necessarily have to be so. Locally-stipulated rent controls, as well as the implementation of a living wage allowing citizens to pay for their own accommodation without state assistance, could both offer ways of reining in the bill for Housing Support consistent with social justice. Although an unfashionable idea amongst policy-makers in an age in which the state is regarded as needing to acquiesce in the price fluctuations of the ‘free market,’ rent controls are still capable of placing limits on the amounts rentiers are able to demand. Rent controls are still capable of mediating the vicious cycle created by the duality of excessive deference towards the free market and the state’s commitment to supporting the most vulnerable. Despite the downturn the rental market seems buoyant and immune from the weaknesses of the wider economy. The dynamics of supply and demand for housing, particularly in London, have remained insulated from the socioeconomic trends of unemployment and wage stagnation. But the social importance of housing as a collective public good demands state intervention to mediate and temper market forces when it is necessary to do so. In this respect, the housing market can be seen as a market failure in its inability to deliver these essential public goods. Rent controls were abolished by the 1980 Housing Act, when Conservatives blamed them for the collapse of the rental market in the 1960s after the landlords of the period strangled supply and allowed housing stock to fall into dilapidation. The very same logic, however, was used to oppose the introduction of the UK minimum wage in 1998. Regulations on rent increases already exist in Ireland, Germany and – on a trial basis at present – Paris. The fear that landlords will drastically increase rental prices in the weeks before the introduction of rent control policies is belied by the experience in such places. They could serve as useful policy tools in future years to control the cost of housing support to the much-valorised taxpayer without inflicting pain on the poorest or most vulnerable. Rent controls may also be effective in managing the growth of housing bubbles and helping people onto the housing ladder through incentivising landlords to sell, even if that means simultaneously stymieing the strategy of asset-based welfarism and the dynamics of Anglo-liberal growth. The central point, though, is that rent controls could serve as a mechanism for controlling escalating welfare costs in a non-regressive manner. Accordingly, they remain a viable policy tool worthy of serious political consideration. The electoral victory of the Conservative Party means a renewed and intensive political focus on cutting welfare expenditure. Not all reductions in state spending, however, need to be regressive. The recent escalation of Housing Support is being driven by the duality of deference to free market principles and a commitment to social justice manifested in housing support; and it does appear as if the introduction of rent controls would significantly restrain the pressure upon this budget. Certainly, it would appear to be a more fruitful direction than the existing (and failing) ideological free market approach centred upon facilitating competition and privatisation. If deficit reduction remains a prominent goal of David Cameron’s government (and this remains a big caveat) then surely it is imperative that parliament first evaluates the modes of doing so which impose less of a burden upon society’s poorest and most vulnerable? Dan Bailey is a doctoral researcher at the University of Sheffield, working on issues of welfare state sustainability. Christopher Kirkland is a doctoral researcher at the University of Sheffield, working on British politics.